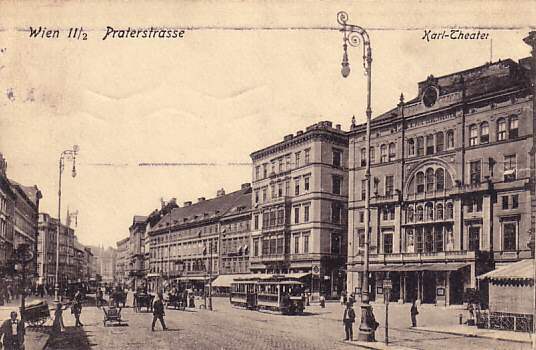 Built from June to December 1847 by Eduard van der Nüll and August Siccard von Siccardsburg, replacing the demolished Leopoldstädter Theater. Named after the theatre's impresario, Carl Carl (= Karl Andreas von Bernbrunn). Opened 10 December 1847. 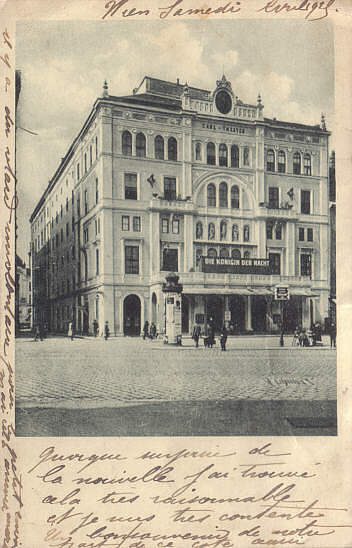 Between 1854 and 1860, the theatre was directed by Johann Nestroy. 1895 alterations of the auditorium by Victor von Weymann. 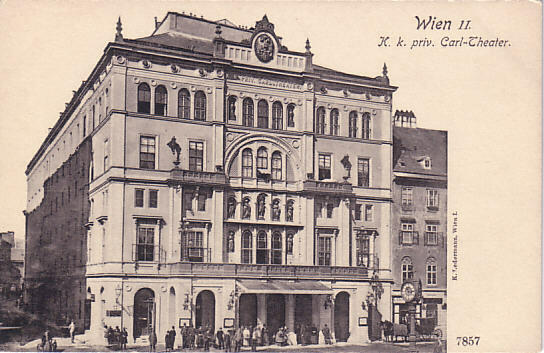 Re-opened 4 October 1895 with Franz von Suppé's operetta "Das Modell". Originally 1400, later 1121 seats. Closed 1929. Severely damaged by bombs in 1944. Demolished in 1951. 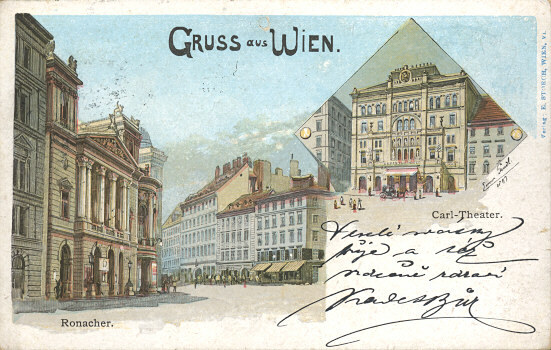 Front Text: "Wien II/2 Praterstrasse - Karl-Theater"
Front Text: marquee: "Die Königin der Nacht"
Publisher: Musik-Theaterfest der Stadt Wien 1924; "Offizielle Postkarte"